Those who have been convicted of a crime in New Jersey often get a second chance in the form of probation or parole. These programs allow you to avoid prison or leave prison early in exchange for meeting a set of strict requirements. If you have been accused of a parole violation, you need experienced legal representation. At the Law Office of David Jay Glassman, we are able to offer that and more: As a former New Jersey prosecutor, Mr. Glassman has an in-depth understanding of the parole and probation systems, which benefits the clients he defends. Although parole and probation function similarly, they have major differences in New Jersey. Probation is an alternative to jail for low-risk offenders. Probation starts after you have been convicted of a crime, but before you go to jail. If you complete your probation period without any violations, you are able to avoid jail altogether. Parole is a separate process that allows for early release from prison for inmates who have demonstrated good behavior. Both systems require the participant to meet strict requirements and to avoid future offenses. When you are accused of violating the terms of your release, we can help. These requirements differ for parole and probation. Your parole officer and your attorney can help you understand which conditions apply in your case. If you have been accused by your probation officer of violating the terms of your release, your rights are limited. You do not have the right to a full criminal trial. While the processes are similar for a probation violation and a parole violation, the consequences are different. In both cases, however, failure to successfully defend against the accusations can result in prison time. A probation violation often results in a defendant getting the full sentence he originally faced. This could mean years in prison. Our firm presents a solid defense against any accusations or charges against you. We also work to persuade a judge that your violations are not serious enough to warrant sending you to prison. Violating parole is much more serious, because judges have very little leeway in these cases. If you are found to have violated the terms of your parole, you will likely return to jail or prison for the remainder of your original sentence. For this reason, we work to construct the strongest possible defense to the accusations you face. Having your parole or probation revoked is a direct ticket to prison, so it is important to have a skilled attorney aggressively defend you. The experienced legal team at the Law Office of David Jay Glassman, with offices in Marlton, New Brunswick, Hackensack and Newark, handles cases throughout New Jersey. Call us now at 866-221-1270 or contact us online to arrange a free consultation. 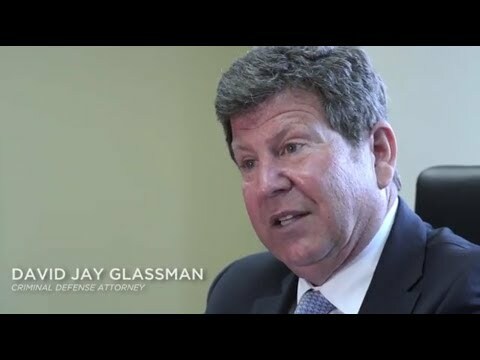 As a former New Jersey prosecutor, Mr. Glassman has an in-depth understanding of the parole and probation systems, which benefits the clients he defends.